Worries about how to manage a lead are unlikely to be an issue for Rory McIlroy this week. The defence of his Wells Fargo Championship at Quail Hollow began with a bogey and ended with another. 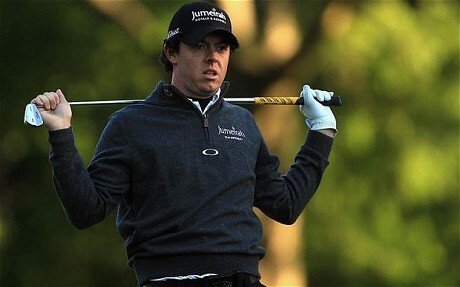 McIlroy posted a three-over-par 75 to trail the clubhouse leader by nine strokes. He needs to bring moving day forward 24 hours and hope to get close enough to the leaders to retain interest across the weekend. The substantial rounds by European golfers came from Padraig Harrington and Sergio Garcia, who each carded a 69. Garcia has started well in his three previous PGA Tour events this year. The challenge for him is to pick up the pace on the final two days to chase down automatic qualification for the US Open. Garcia, who started the week as the world No 72, needs to leap 22 places in the next three weeks to avoid submitting to the qualification process. Garcia has played in every major since making his debut at Carnoustie in 1999, a total of 47. Congressional will be the richer for his presence. Martin Kaymer, who will reclaim the world No 1 spot with a win in South Carolina, carded a 70 to sit one behind Harrington and Garcia. The opening day at the Spanish Open in Barcelona had a Scottish theme. Scott Jamieson shot the low round of the day, 66, to lead by a stroke and his countryman, Colin Montgomerie, enjoyed an encouraging start with a two-under-par 70. Montgomerie believes he has a genuine shot at making Jose-Maria Olazabalâ€™s European Ryder Cup team in Chicago next year. Though the qualification period does not begin until September, Montgomerie has ground to make up. He has not had a top-10 finish for almost three years. Another with one eye on Chicago is Matteo Manassero, the teenage wonder from Verona. Manassero, who won last time out in Malaysia, made a modest start. Perhaps he was suffering a reaction to the post-Kuala Lumpur party when he celebrated victory and his 18th birthday. His 71 on Thursday left him seven adrift of the lead, a minor impediment for a boy with a CV like his.